Stampin' Up! Weekly Deals and a Post Office Discovery! Hey there! Last night and tonight I'm hosting a Vendor Fair at my house. We have 7 different products represented by 6 different people. Needless to say, my yesterday was craaaaaazy. Makes me want to get out my Stars Framelits and Ornate Tag Topper Punch and start creating! What does the tiny print under the butterfly say? "NON MACHINEABLE SURCHARGE" ! This is a big deal! Stampers frequently ask advice on how to mail beautiful (but bulky) cards. They fear the card will be mashed or worse, destroyed as it goes through P.O. machinery. It's also an inconvenience to go in to the P.O. to mail them separately. Problem solved! Put one of these on your envelope, drop it in any mailbox, and you are done! You don't have to put any other postage on it, the 71 cents you pay for the stamp covers all costs of first class postage plus the added cost for it to be hand-processed and not go through the P.O. machines! You do need to go to the P.O. to purchase the stamps, but I just bought a sheet of them to have on hand every time I need one! I double-checked with my local Postmaster this morning to make sure I was giving you all the correct information, but if you have any other questions about these amazingly helpful little stamps, just ask your postmaster when you go in to buy your stamps. 1. All orders of any amount (other than Online Class orders) will receive a Thank You Project Packet in the mail from me. Stampin' Up! Weekly Deals September 1-7! Hey there! I'm late posting the newest Weekly Deals, but just chalk it up to crummy internet connections. Better late than never, yes? Here they are, and they are pretty good ones this week! Brights Candy Dots and Rhinestone Basic Jewels Embellishments, just perfect for glamming up your holiday cards! Whisper White 1/2" Seam Binding Ribbon, ready to color with an inkpad or a marker, there are so many possibilities! Couple these deals with the new Holiday Catalog ordering, and an updated Clearance Rack, yay! Stampin' Up! Newest Weekly Deals for August 11-17! Hey there! It's Tuesday, which means it's time for more new Weekly Deals from Stampin' Up! 2. Be sure to check out the Weekly Deals Link and Clearance Rack Link while you are shopping for savings ranging from 25% to 60% off! Stampin' Up! Weekly Deals for July 21-27! These Deals are really good, but most of them won't last long as they are while-supplies-last. When the designated amount set aside to sell at the discounted price are gone, the item will revert to the original price. 2. Be sure to check out the Weekly Deals Link and Clearance Rack Link while you are shopping for savings ranging from 25% to 80% off! Stampin' Up! New Weekly Deals! Hey there! It's Tuesday, which means it's time for the New Weekly Deals from Stampin' Up! Here's the Weekly Deals for you. PLEASE NOTE! The amounts available at the Weekly Deals prices are now LIMITED to a set number. When the set number of each deal has been sold, the deal will no longer be available at the sale price. You will still be able to order it, but it will show the normal price, not the Weekly Deal Price. DON'T WAIT to place your order for the Weekly Deals! There are more deals offered than usual! Ribbon, punches, dies, card stock! Order TODAY if you want it at the sale price! Stampin' Up! New Tuesday Weekly Deals! Hey there! 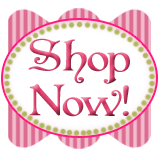 Just jumping in here for a minute to give you the new Weekly Deals from Stampin' Up! I have been stamping! Come back tomorrow to see a great project! Hey there! What a week so far! I've been keeping my grandson's, Liam and Jaxon, this week, so there's not been much time for stamping. But today is Tuesday, which means it's time for the new Weekly Deals to post from Stampin' Up! These deals are great to pair with all of the fun new products in the new catalog!